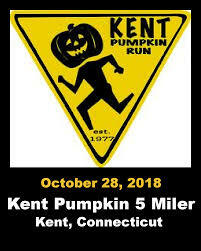 The Kent Pumpkin Run, 42nd Annual, will be held Sunday, Oct. 28, 2018 at the Kent Green at Town Hall in Kent, CT. The event is sponsored and organized by the Kent Chamber of Commerce. The 5 mile run/walk and Kid’s Runs begin and end at the Kent Green. 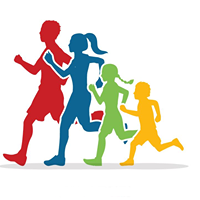 The Kid’s Run has both 1/2 mile and 1 mile options. Participants are encouraged to wear costumes. 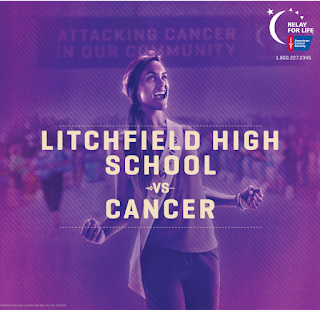 For online registration, entry fee for 5 Mile Run/Walk is $25 plus $2.45 processing fee until Oct. 19th when online registration ends, then $30 . Commemorative T shirt to first 500 registrants. Registration caps at 1000 entries. Kid’s (12 years old and under) online registration is free by Oct.19th and $5 after. Also at kentpumpkinrun.com download printable entry form . Entrants can also register online to join Team Julia’s Wings to support the fight against aplastic anemia. Prices are $48.47 for 5 Mile race and $11.54 for Kid’s Run. Prices include processing fees and same deadlines apply. Race is followed by music, refreshments, awards and town-wide events.